You are out here to have fun and experience a new culture with weekend trips around Canada, plus lots more! All activities and trips are included in the Ultimate Experience package. Montreal - 22km of underground shopping and lively nightlife after midnight! 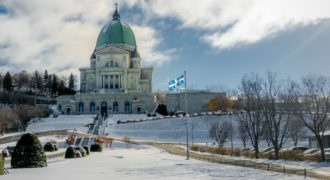 Check out downtown Montreal with its Underground City providing 22km’s of heaven for the shoppers amongst you and attractions such as the historic Old Port or Mont Royal if you’re feeling cultural. After midnight, the downtown core is unsurpassed for its lively nightlife – up-beat clubs, jazz bars, blues cafes and brasseries. A truly Canadian experience in a vibrant cosmopolitan city! 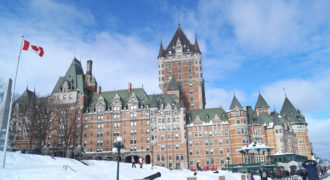 Quebec City - Participate in winter sports at North America’s biggest Winter Carnival. The magic of ice castles, ice sculptures and parades is captured in North America’s biggest Winter Carnival. Participate in winter sports – ice-skating, tobogganing, tubing, or wander around the Ice Palace and watch the parade. 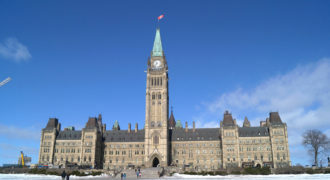 An unforgettable trip to Canada’s capital – the parliament buildings, art galleries and museums are superb and a visit here combines a taste of Canadian history with the opportunity to skate down the longest skating rink in the world – the Rideau Canal (a world-heritage site). Perhaps, most unforgettably and the thing that most come back fixated on is their experience of the world’s most unique youth hostel – the Jail! Outdoor experience – an experience like no other! Learn to build a quinzhee, then try extreme snowshoeing through the woods. Enjoy lunch out on the trail, warm up by the roaring bonfire then star gaze the night away. 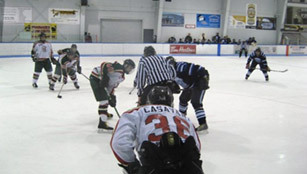 You can’t come to Canada without experiencing a live ice hockey game – whether you’re on our Improvement Course or Ultimate Experience course, we take you to a thrilling hockey match. Watch the game with your friends and enjoy a jug of beer and a hotdog! The energy is electric when the home team scores the winning goal! 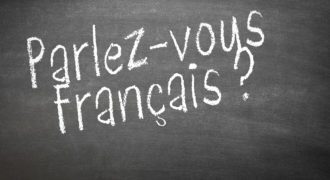 Mont-Tremblant is over 90% francophone so you can practise your newly acquired (or greatly improved) French in the evenings. Classes are small and the emphasis is on conversation…and fun. A bientot! Nightly socials – it’s party time! 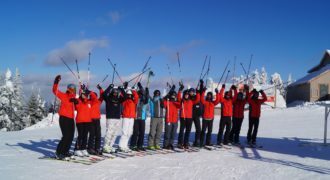 Ski le Gap organises a number of different evening activities throughout the course – sports nights, theme nights, pub quizzes, house parties and much more! Have the opportunity to put your newly acquired skills into practise and get a taste of what it is really like to be an instructor. 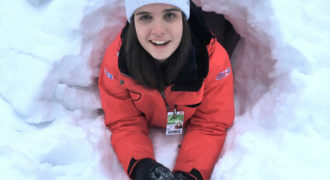 On our Ultimate Experience Course you spend up to one week with Tremblant’s snow school helping to assist with lessons. 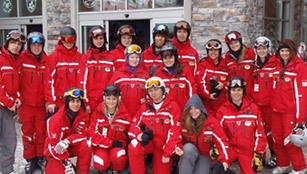 Decked out in Tremblant uniforms it is a very challenging experience but any qualification is greatly improved when backed up with actual experience. You will build your communication skills, self-confidence and leadership skills – all relevant to the next stage of your career. 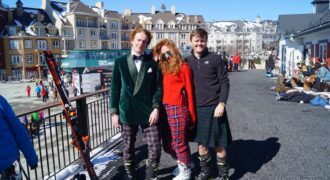 If you haven’t realised already, Ski le Gap has an extensive social programme throughout the season that plays host to some of the craziest events. After partying it up, you will have made some lifelong friends who have enjoyed the same life-altering experience so we want you to leave in style and celebrate! We throw an incredible farewell gala dinner but the camaraderie of gappers does not end there. We arrange reunions to keep in touch. Ski le Gap is more than just an amazing time in the mountain – it can be an amazing network of friends for the future.